This species is widely distributed through East, Central and West Africa, it has about twenty common names recorded for it, according to country or even district of origin – Kambala, Tule, Intule, Moreira and Bang are among these. Iroko has also been sold as African Teak but this is misleading. Chlorophora regia is a West African species so similar that it is not distinguished separately. 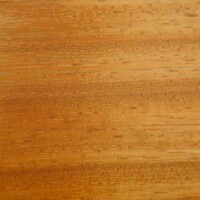 When freshly cut Iroko is often quite a strong yellow colour but on exposure it quickly assumes a medium golden brown shade. The parenchyma, which is plentiful in this timber, causes lighter patches to show along the vessel lines. The sapwood is distinct. Overall the timber has quite a close resemblance to Teak but its texture is coarse and even and its grain is either interlocked or irregular. Occasionally large deposits of a hard form of calcium carbonate called ‘stone’ are present either as lumps or sheets. The dry wood weighs about 640 kg/m3. 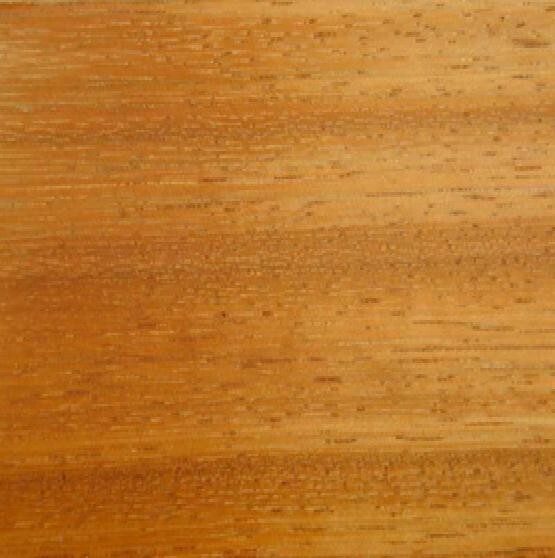 This wood has often been regarded as a substitute for Teak but it s a perfectly good timber in its own right. Its properties in some ways are better than those of Teak. It is used for internal and external joinery, furniture (sometimes as solids combined with Teak veneers), boat and vehicle building, marine uses and flooring (domestic only).